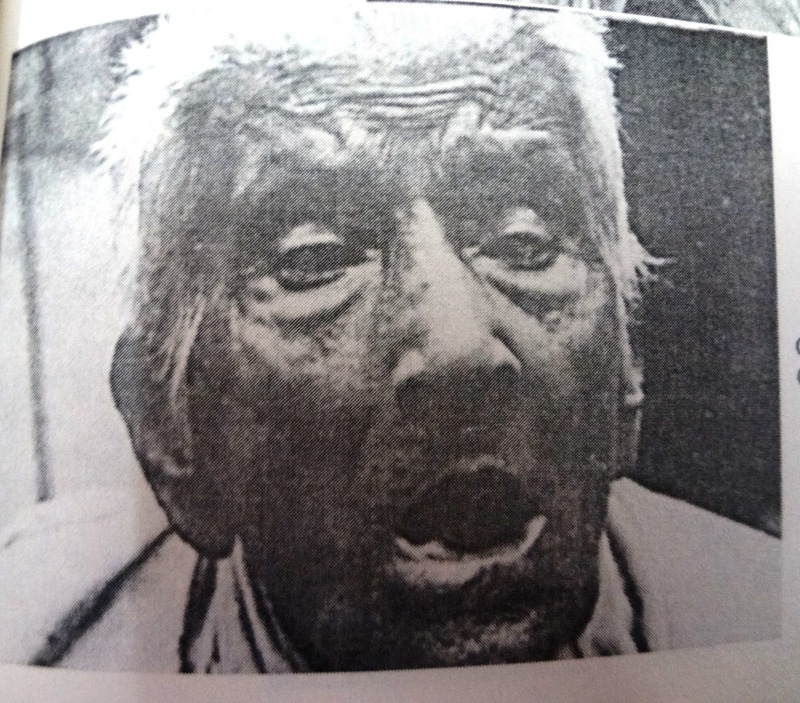 I heard about Satyajit Ray a month back when news channels and papers had articles about the 100 years of Indian Cinema. Most of the actors I admire spoke very highly of Ray but raved even more about his movie – Pather Panchali. I had no idea who he was and what the admiration was all about. So I decided to develop my own opinion about the man. Its not easy to get stuff on him in the regular shops so I ‘flipkarted’ it! When the ‘Flipkart’ man rings my door bell, it always brings a big smile to my face. He is my Santaclaus. My mother reminds me that Santaclaus gets you free gifts, not paid ones. But what the hell… Everyone likes to open a closed packet that has their name on it. 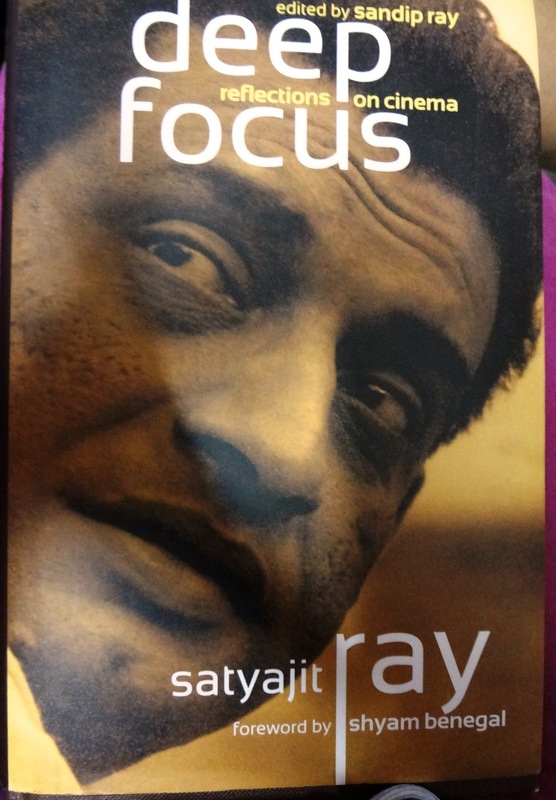 This time Santa got me two books on Satyajit Ray and a seven movies DVD collection of his best movies. The flipkart delivery is pretty amazing, the best part of it is the bookmarks they send you (for free) with your books. Needless to say I am a fan of bookmarks.I read his biography by Marie Seton. 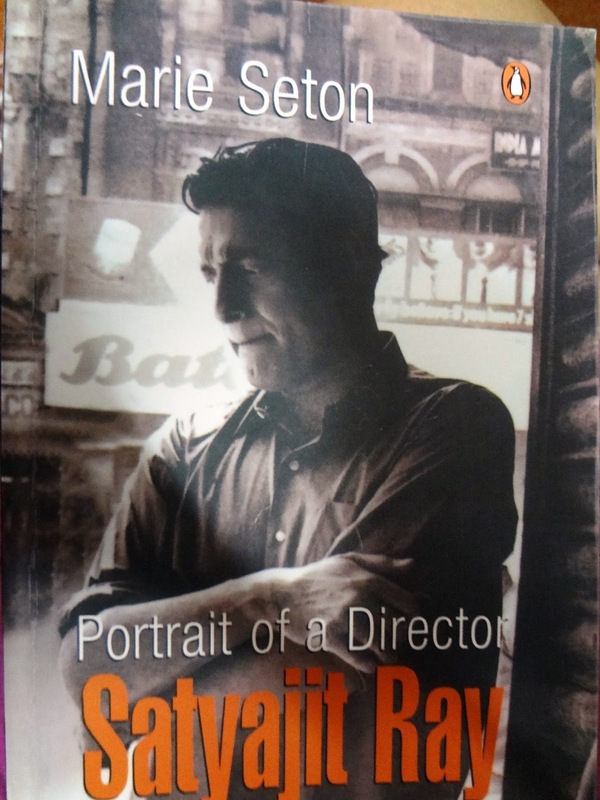 I didn’t enjoy the book as a whole because it was more about his 25 odd movies than Satyajit Ray himself. However, it was still a great insight into his childhood and his unbelievable amount of passion for his craft. I like to surround myself with greatness. Not because I want to follow it or because I want to be it. I have learned the hard way that you can’t lead your life with greatness in mind, it’s too much pressure and it gets too lonely. I think instead of greatness one should just live a life without regrets, and have the wisdom and strength to follow one’s heart. If greatness doesn’t come with it, happiness surely will and being happy is, by far, the most important thing. It’s impossible to have literal greatness around you all the time. So I try to surround myself with books, music, great articles, movies, art etc. I like to keep these art forms around so I can always remain humble. It always cheers me up when I’m feeling low. Every book by Ayn Rand inspires me. Just imagining Howard Roark from the Fountain Head gives me a high. (If he was real he would be the sexiest man alive). Also, books by sport personalities are always a joy to read. Like the autobiography of Kelly Holmes. Holmes won two Olympic golds when she was 32. That was the only time in her very long career when she was not injured. Stories like these always give me hope. Satyajit Ray knew he wanted to make movies when he was six. He was not just a movie maker but also an artist, a writer and worked in a advertising agency in his younger times. 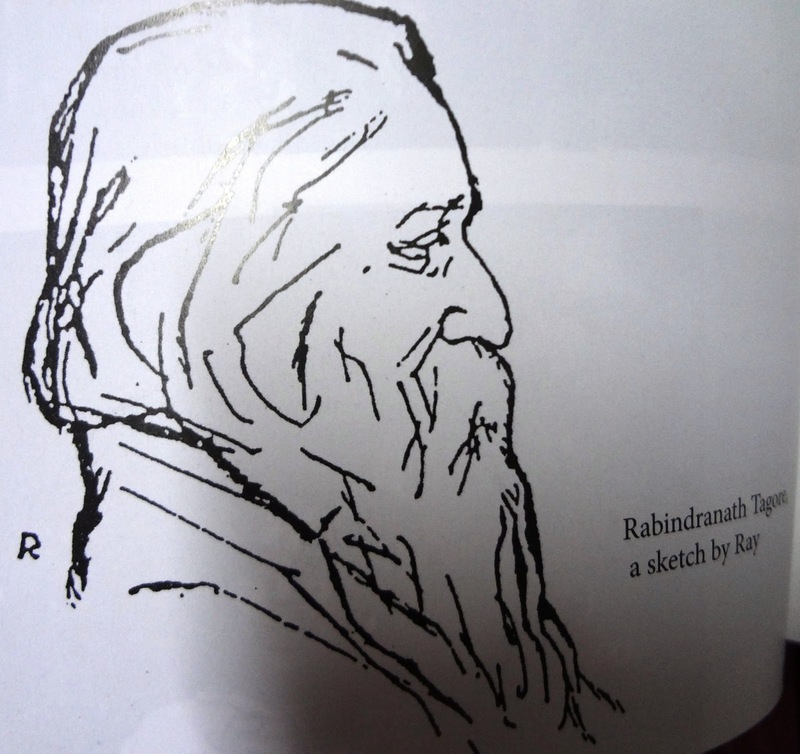 He grew up in Rabindranath Tagore’s school Shantiniketan to basically become a painter, but with time he realised he could do nothing else but make movies. He was in London for a while for work and thats when he got exposed to the world of movies. He saw the the classic , ‘Bicycle Thieves’ 56 times, he watched movies across the globe in all the languages and learnt. Ray never had a formal education in filming, he not just directed, but in his later movies was also the editor, the screen play writer, and the music director. A lot of people consider him to be an institution on film making. I cant agree more. I am especially amazed about the fact that he learnt so much just by watching and reading about things. One of his many books, this is on his views on world cinema. Its brilliant! When Ray came back to India to make movies, it wasn’t easy. He was firm about the fact that he would make all his movies in Bengali as that was the only language in which he could tell a story. At that particular time the Indian movies were mostly about glamour and music and dance. Most of the movies were made to make money and not to tell a good story. Ray differed in this aspect. He believed that movies should depict reality, that they should be made to give a social message.Making a movie is not about glamour but only a reflection of society. It’s worthwhile only if it makes a man think. Pather Panchali is an extremely Indian story. It’s a story of India’s farmer, his poor condition, extreme poverty, the innocence of children, a mother’s constant struggle to keep her family fed and most of the time failing miserably. The characters of the mother and father are played by two theatre personalities who were not known faces. The two child artists who played the daughter and son were played by two random children Ray found playing on the streets. The grandmother (whose character and apt casting was impressive) was picked up by Ray from a brothel. She was 80 years old when shooting began and she died immediately after the making of the movie. What impressed me was Ray’s attention to detail. The house was a set but it seemed extremely real. Ray shows only one diya in the house, and all the house members nights revolve around it. The only one Ganesh idol which is in house is showered with fresh flowers but as the movie progresses and the poverty in the house there are no fresh flowers anymore. The windows of the house all have no curtains and are broken. The fear the children feel even at the slightest sound is very subtly portrayed. The movie doesn’t have many dialogues. Ray has used Indian classical music at the background so beautifully that you really don’t feel the need for people to talk. The music by Ravi Shankar is a character in itself. There are quite a few scenes that touch your heart. The scene where the whole house comes down due to flooding and the daughter falls sick with fever, the helplessness that the mother feels in not having the money to feed her or get her medicines is very well shot. There is a scene where the mother tells the grandmother to leave the house because she has no resources to feed her. The grandmother leaves the house and does not return for two days. The mother feels guilty and sends her son with food to find her. When he does find her he sees her lying dead in the woods. 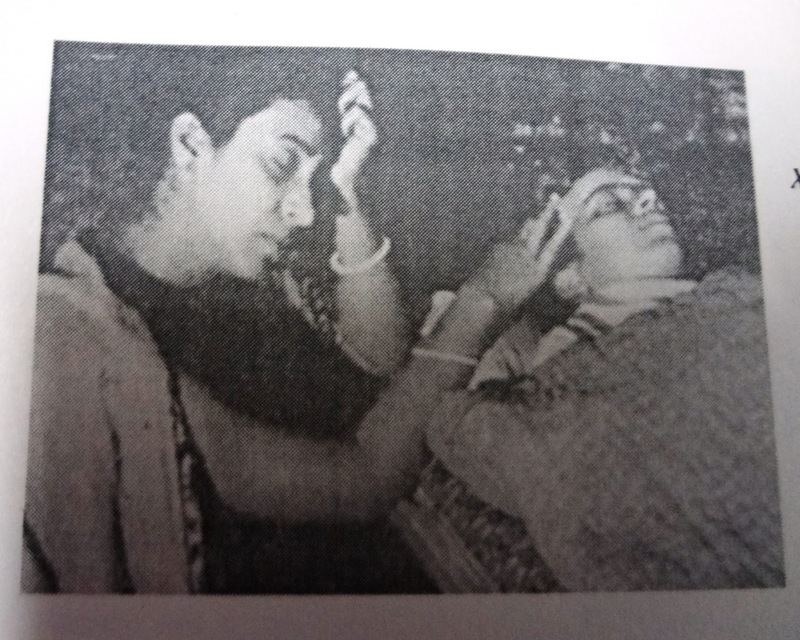 The scene where Durga the daughter dies! What astounds me is that Ray had never experienced poverty in his own life. On his own admission, the only poverty he experienced was in one of his trips to Benaras. Yet, he portrays poverty and human emotions with conviction. Ray is able to bring out unbelievable performances from very real people, people who have never faced cameras in their life. The performances by the children are really good. (Ray says that the secret to make children perform is to treat them like adults). To achieve all of this in his first movie is a remarkable feat, speaking volumes of his credibility as a filmmaker. 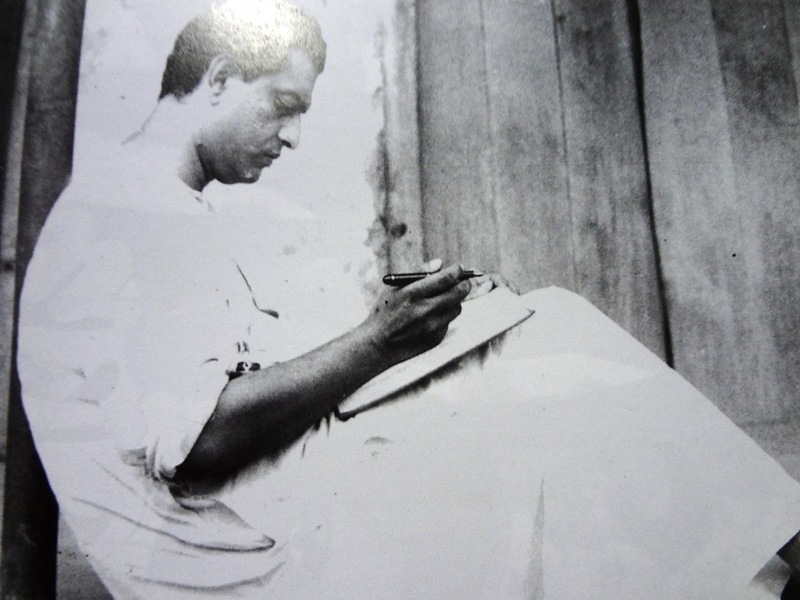 Discovering Satyajit Ray was a great experience. It’s a shame I didn’t know of his existence till a month ago. My favourite hobby is to read about great personalities and pick up things which can help me. From Ray I learnt that no matter what the odds you have to follow your dreams till you attain them. You have to take risks and achieve things on your own terms. You have to love what you do and follow it with belief and passion. Ray always said that once you make a movie for money and not to just tell a good story you will, without doubt, fail. Ray remained true to his craft till he died, and no amount of material gains ever distracted him, and that’s why he is the only Indian Filmmaker to have won the Lifetime Achievement award at the Oscars!